TOPtoTOP on the offical Expo Website! 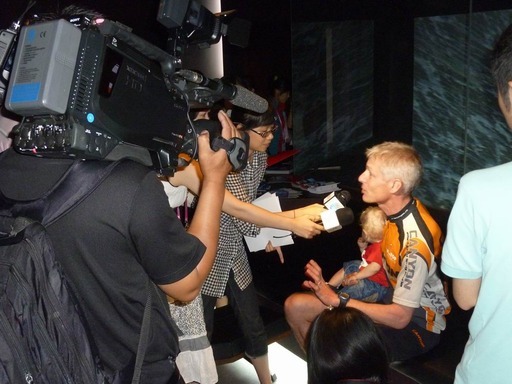 During our stay in Shanghai we were surrounded by the media and invited to several life shows. Check the media coverage at the end of the report! 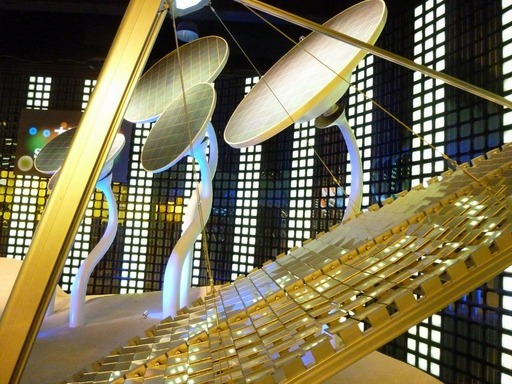 The Chinese Pavilion shows many good solutions to protect our climate, too. 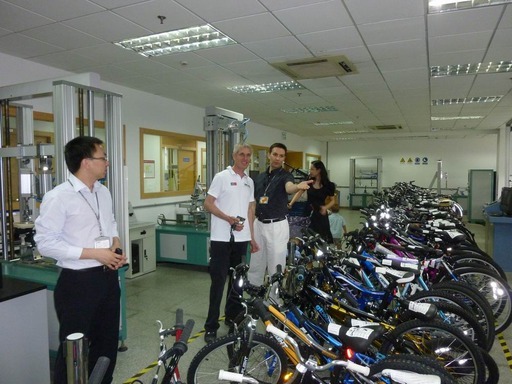 We also had the opportunity to meet some of the SGS staff in Shanghai and visit their great testing laboratories. Here they are testing bicycles. Our CANYON bike was for sure also tested by SGS, because we never had any problems. Thanks a lot again to the whole PRS team in the Swiss Pavilion, specially Anne-Sophie Cosanday, Kieu Tran and Peter Tscherter. 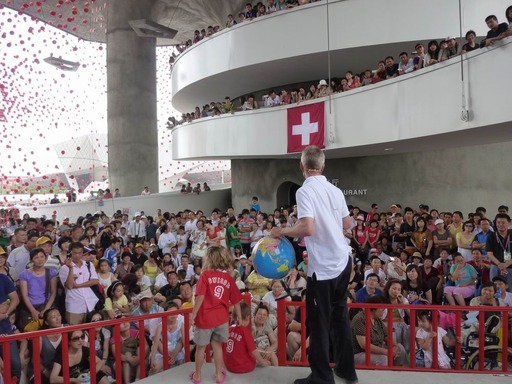 Many thanks also to swissnex China, specially Flavia Schlegel and Karen Undritz and the Swiss General Conulate in Shanghai, specially Consul René Seiler, deputy Consul Thomas Schneider and Heidi Zhang. Thanks a lot to our two main sponsors Victorinox and SGS, and specially to Richard Shentu and Angela Chang from the SGS office in Shanghai. 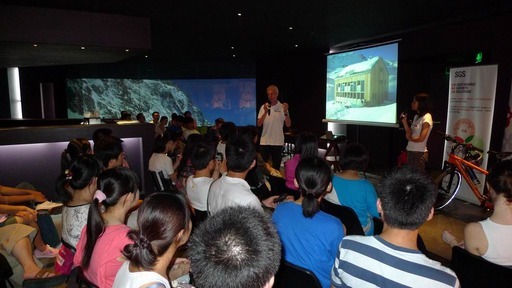 The World Expo Shanghai was a great success. 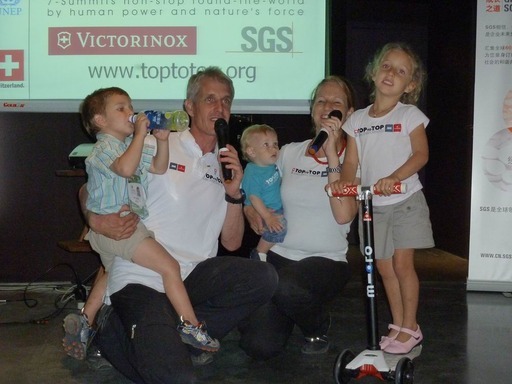 I think it was because we are family trying to live in harmony with our climate… We all played our part: Sabine, Salina and Andri did the “environmental games”, the dancing and singing; Dario did the more scientific presentations….but the star of the show was little Noé. CONGRATULATION HANNA, PEOPLE LIKE YOU CHANGE THE WORLD! 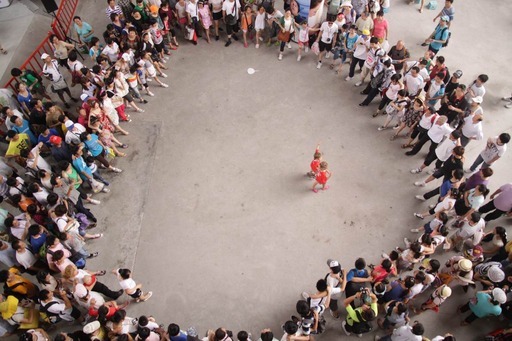 To share with you another great coverage about TOPtoTOP event that was generated on Yangcheng Evening News,one of the largest circulated newspapers in China. 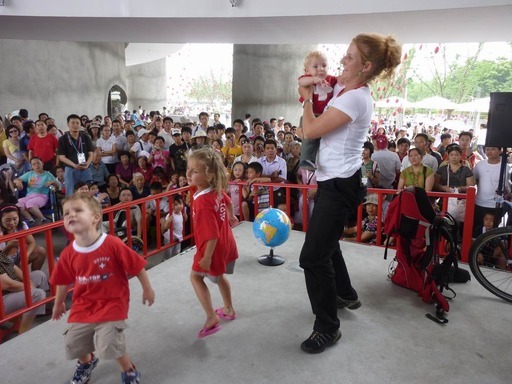 The half-page report published today not only talks about the family’s eco-adventure, but also links the family with the Swiss Pavilion and then switches to showcase the colorful events held in the pavilion in these two months. Besides, the journalist also selected a few eye-catching photos in the report. As of July 9, 135 clippings have been monitored for Top to Top project with 18 new clippings which were highlighted in red in the clipping index. Among all of the media coverage, 17 are original reports while 118 are pick-ups. What is worth highlighting here is not only the quantity of the articles but also the quality of the original reports. 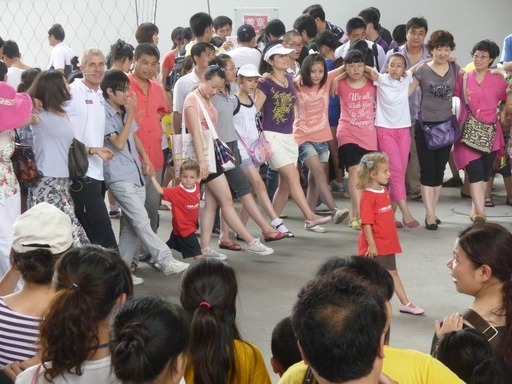 Jiefang Daily, Labor Daily, Daily News and Oriental Morning Post, these four mainstream general newspapers in Shanghai all generated very impressive big reports with the eye-catching picture of the family in it. Besides, as you can see from today’s news alert, China Daily has published a full-page story of this project. Also, CCTV has given the story a 3-min-length feature report, which is an amazingly long report for an event. 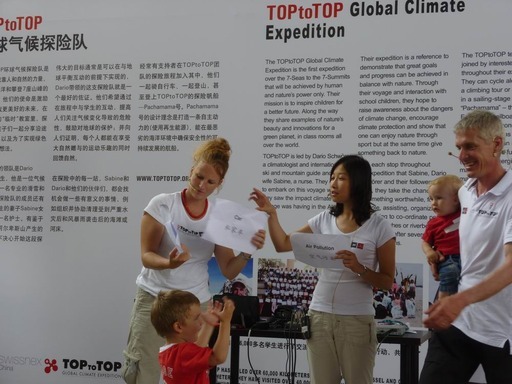 Looks like the expedition family conquered not only 7 Seas and the 7 Summits but also the Chinese media! 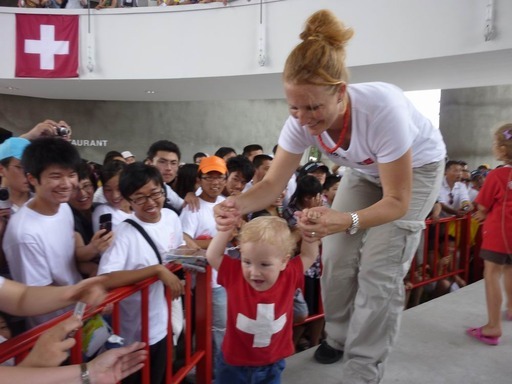 To see more details, please kindly contact Kieu Tran to download the updated version of the clipping reports (tran@swisspavilion.ch).